Before the week ended, me and my colleagues were given a much welcomed break. It's that time of the year when we temporarily forget deadlines and other responsibilities. We were sent to everyone's favorite place. And sure enough, no colleague expressed disappointment with Caleruega. The only thing to hate about this place is the very weak signal from all network service providers. Hahaha But I believe this is part of Caleruega's beauty. The place detaches us from the usual disturbances of the city life. It remains true to its mission of getting people closer to nature and closer to God. I have blogged about Caleruega many times here. Pardon my repetitiveness but I will never get tired of capturing photos and blogging about this place. A little piece of information, Caleruega is a small town in Spain where St. Dominic de Guzman was born. This place is owned and managed by the Dominicans or the Order of Preachers (O.P.). Having been working for an institution that is under the OP, it is indeed a privilege to be housed in this beautiful place every year. Other notable and famous institutions owned by the O.P. include the two famous Shrines of Our Lady of the Rosary, one in Manaoag Pangasinan and the other in Sto. Domingo Quezon City. 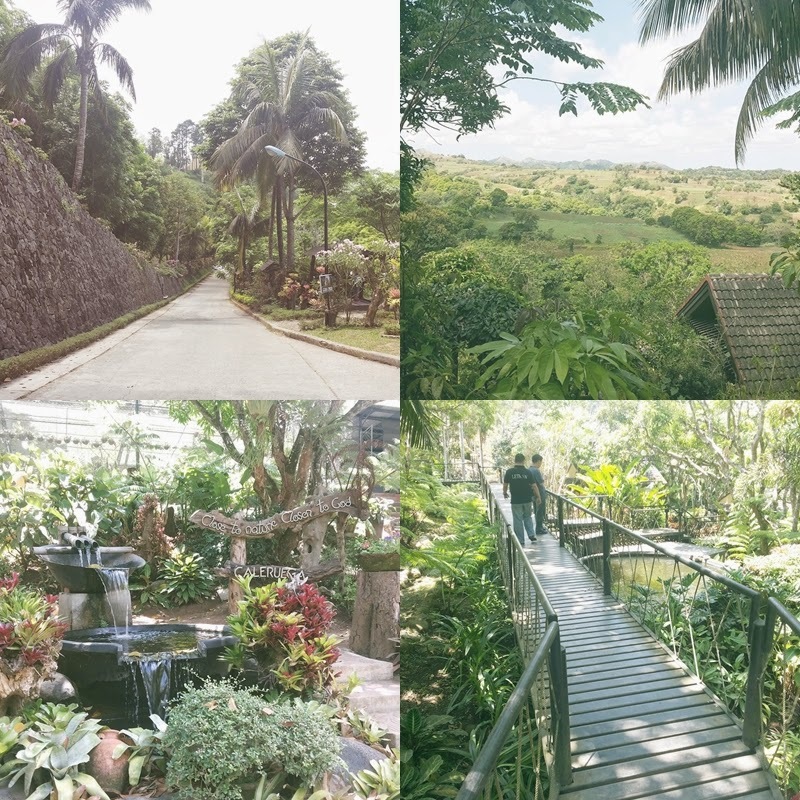 Some visitors fail to fully explore the more than 11 hectares of land of Caleruega. Not everyone is aware that food is allowed inside the premises. This is the best place to have those rare picnics with the family. A little reminder though, let's not be one of those people who have disciplinary problems in waste management. Bring your own trash bag and take it as you leave. Otherwise, the management might consider this as another restriction. The often unnoticed area below the Transfiguration Chapel is another must see attraction in Caleruega. The access road, magnificent view of Mount Batulao, man made fountain and pond leading to more surprises. 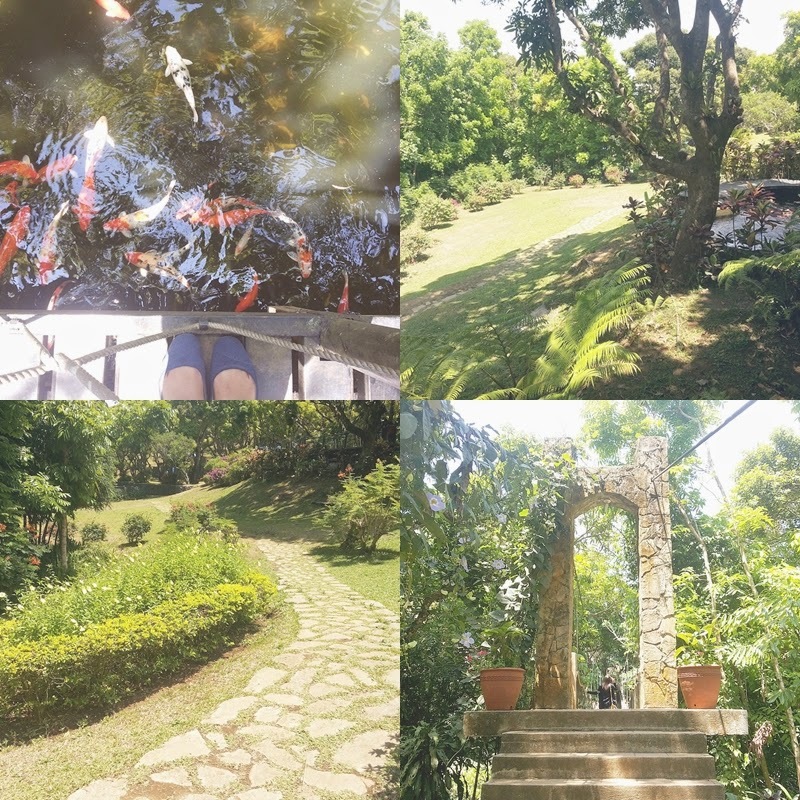 There's a koi pond, far better than the one in Nuvali. They have ample spaces to breath and live. There's also a vast open space ideal for picnics, event reception, and team building activities. 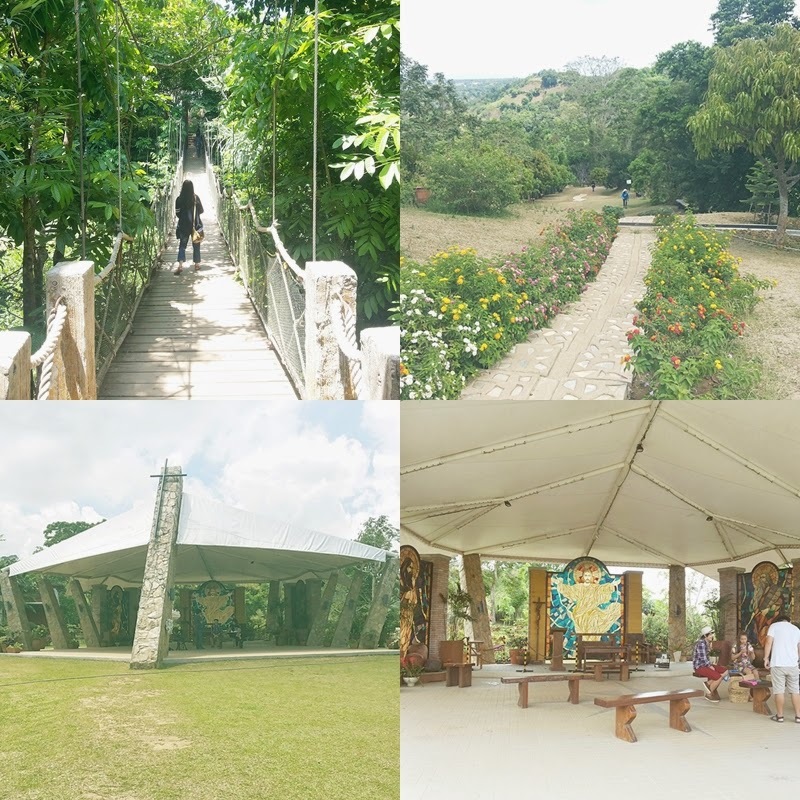 Yes, Caleruega is not just a retreat center, venue for weddings and pre-nuptial photo shoots. 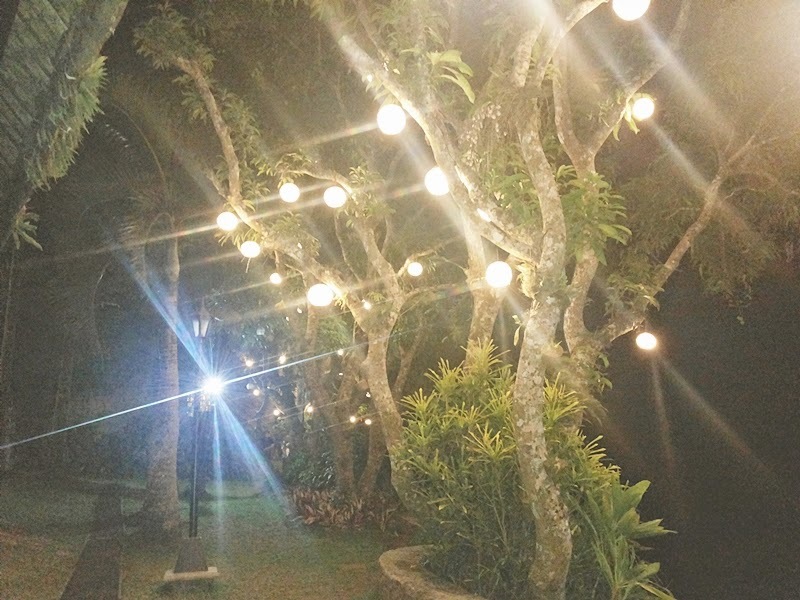 Those who prefer a unique and quiet getaway from the city can stay in Caleruega. There are family rooms to dormitories that can be rented. But since this is a Catholic institution, expect certain requirements and restrictions. Check out my other posts about Caleruega here and here. This is such a beautiful place! I really enjoyed my visit via Beautiful Sunday! This place is so beautiful, it looks like a little glimpse of heaven. I like the gardens, the green, the trees and what an ideal place for a wedding. Just carry those high heels, ha ha. Oh, I forgot. I must tell you the postcard you sent with the quote is wonderful. I will look for a postcard with a quote for you, I am going downtown today. What a gorgeous place, everything looks so lush and green. I always enjoy seeing pictures and hearing about your getaway adventures.